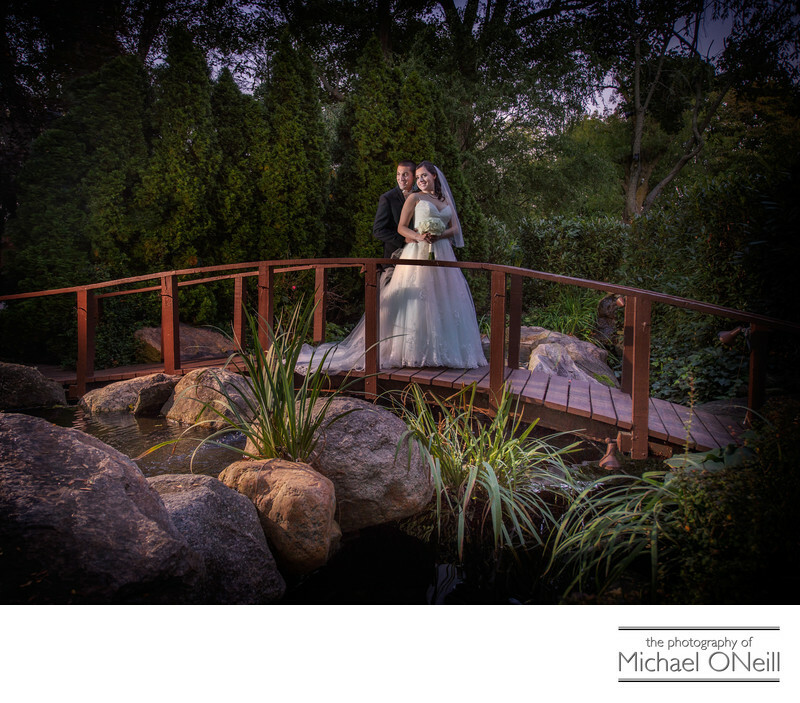 Another beautiful environmental wedding image taken on the grounds of Westbury Manor in Nassau County, Long Island. This establishment offers one of the finest locations for outdoor wedding pictures anywhere in the New York metropolitan area. The bridge pictured here spans the brook that cascades from one end of the perfectly manicured property to the other. Whether photographing the bride and groom alone in a romantic environment such as this, or providing the perfect background for fun wedding party and family photos, Westbury Manor offers it all. In addition to the photo ops here this venue also offers spectacular areas for outdoor cocktail receptions and a private garden for an intimate outdoor wedding ceremony. Inside the establishment features traditional wood trimmed ballrooms to host the most elegant wedding reception you can imagine. In my many years of being a Long Island and NYC professional wedding photographer I have had the experience of visiting Westbury Manor on dozens of occasions. I know all of the best spots for pictures and would love the opportunity to create some amazing wedding photographs for you here. Whether at Westbury Manor, or their sister establishments: Chateau Briand, The Fox Hollow Inn and The Watermill Inn, I am the best wedding photographer you can choose for your special day.